Nigeria's current president Goodluck Jonathan has been defeated in the country's presidential election, bringing an end to five years of leadership increasingly criticized by the opposition. Gen Buhari, a former military ruler, is ahead by over two million votes, with results still to come from just one state. The defeat of the president, regarded as a 'good man' by many including his critics, was the result of a failed electoral gamble. In 2014, the 58-year-old fast tracked the destruction of his ruling party by a former chairman, Bamanga Tukur, and other leaders who have no modicum of electoral value, resulting in mass defection of many key political allies. 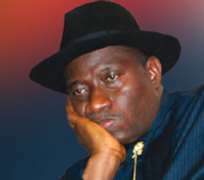 The defections apparently wrong-footed Jonathan, and the opposition had the better of the campaign, say analysts. From Kogi, where a rookie politician as governor, Idris Wada, and an aging Ahmadu Ali, were left to lead the party, leaving behind a former governor of the state, Ibrahim Idris, who is a more astute and grassroots politician. The gamble with Attahiru Bafarawa, former governor of Sokoto state, presented an unwieldy coalition, as staunch members of the party were left out in the presidential campaign. Bafarawa, as soon as he got his hands on the campaign fund, went on a shopping spree, purchasing properties across the globe, including a mansion purchased from the families of the late Kwara governor, Mohammed Lawal, in the United States. The story is the same in Kebbi state, where the leader, former PDP chairman, Haliru Bello, who refused to paste the campaign posters of president Goodluck Jonathan, in his residence was made the navigator of the party in the state, allowing the likes of Atiku Bagudu to leave the party for the APC. The story is the same in Benue, where the luster seemed to have faded for supporters of the governor, Gabriel Suswam, with criticisms that his administration had become increasingly authoritarian, power-hungry and dynastic. From Bauchi, Ondo, Adamawa, Kano, Kaduna, Cross River, the gamble remains the same with the use of leaders out of touch with their constituents. Jonathan, minutes ago called Gen Buhari to congratulate him, Per Second news gathered. Jonathan, leaves behind a platform of building a Nigeria that is peaceful, inclusive, democratic, and prosperous.